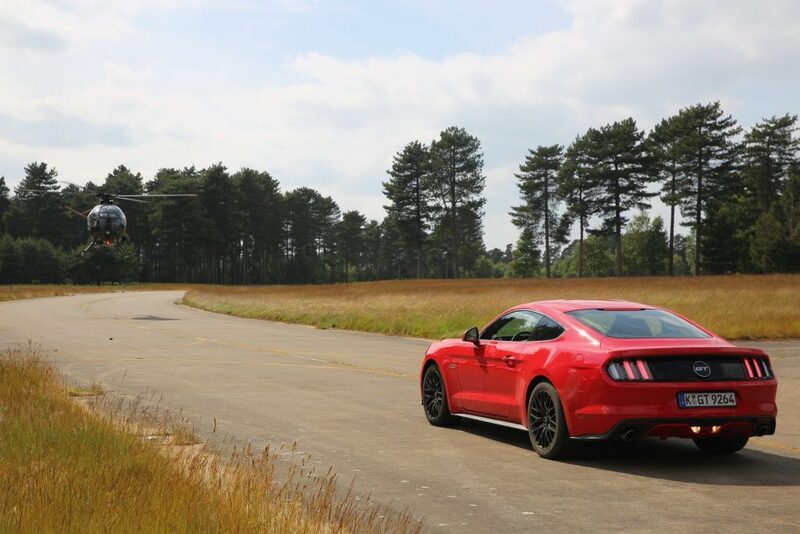 The all-new Ford Mustang has been named the ultimate stunt car by Ben Collins – top Hollywood stunt driver, racing driver and former “Stig” on the BBC’s Top Gear – in his new film “Ben Collins: Stunt Driver”. 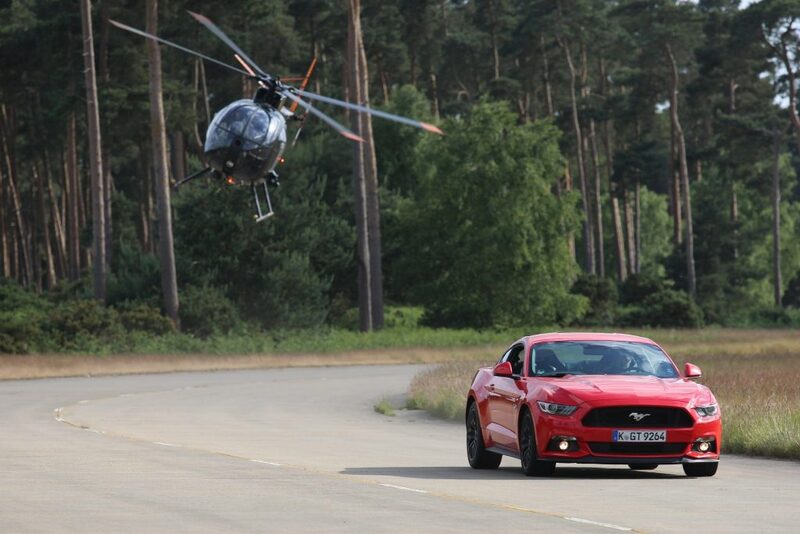 In the new Lionsgate U.K. film, the Ford Mustang fastback – powered by a 5.0-litre V8 engine – beats an array of high-performance road and competition cars during 48 hours of explosive, high-speed challenges featuring aerobatic planes, helicopter gunships and military machines. 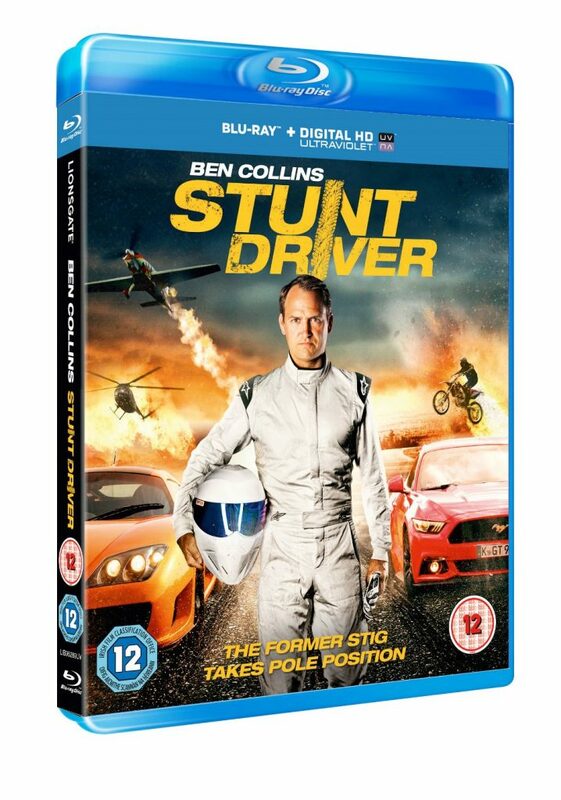 Collins’ movie stunt driving credits include the James Bond films “Quantum of Solace,” “Skyfall” and “Spectre,” as well as “The Dark Knight Rises” and “Mission: Impossible – Rogue Nation.” Collins was also the anonymous “Stig” for eight years on BBC’s Top Gear, and he has competed in Le Mans, GT and NASCAR race series. Mustang helped Collins evade baddies in his new film with all-new front and rear suspension systems including innovative integral link independent rear suspension, and standard performance brake packages behind 19in wheels. A lightweight balanced and responsive chassis delivers up to 0.97 g-force when cornering, and customers can choose between six-speed manual transmission or six-speed automatic with wheel-mounted paddle shifters for slick gear changes. Mustang also gives the driver an edge on a movie set whether chasing or being chased, using selectable Drive Modes to match Normal, Sport+, Track or Snow/Wet settings to driving conditions. 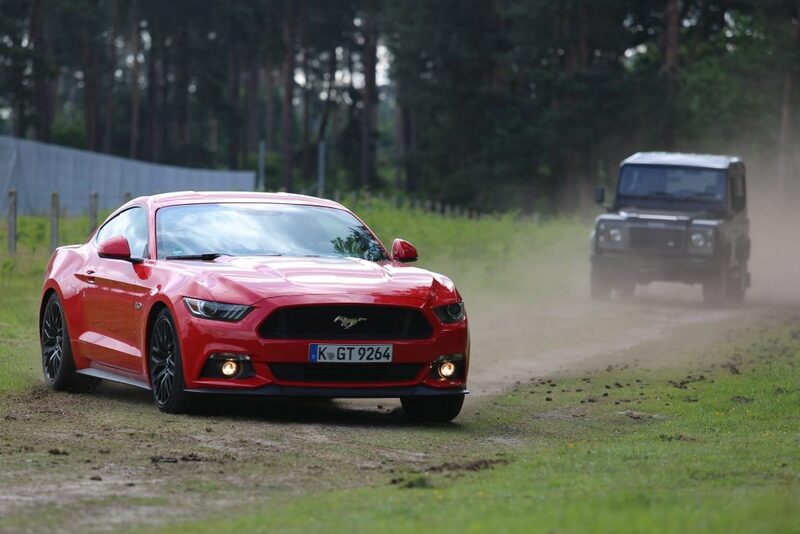 Launch Control helps the 5.0-litre V8 Mustang sprint 0-62 mph in 4.8 sec. The all-new Ford Mustang is now on sale in the UK for the first time in more than 50 years in fastback and convertible bodystyles, equipped with Ford’s 416PS 5.0-litre V8 engine or the fuel-efficient 2.3-litre EcoBoost engine delivering 317PS.